The comedian Louis C.K. and I share the sentiment that it’s very awkward to begin talking out of nowhere, and so the only solution is to just jump right into it, and so like a comedian, I like to start with a joke. Here’s how our thinking has changed in a few short years. Like most good jokes, this is built on truth, and to me encapsulates how quickly Digital Transformation has upended our way of thinking in only 10 years. This change was made possible almost entirely through apps built with the fastidious use of Cloud and APIs. 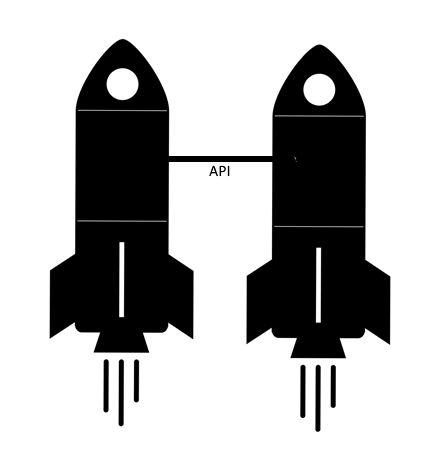 What do we mean when we talk about APIs? To start with, APIs are not a new idea, concept, or technology, they have been around since the 1960s, and are at the heart of how the technology you are using to read this Blog can operate. But what I will be discussing today will be focused on what are known as “Web APIs”. These are the APIs which are the new and exciting development driving fast and agile transformation. So when I say API going forward, I will be meaning Web API. 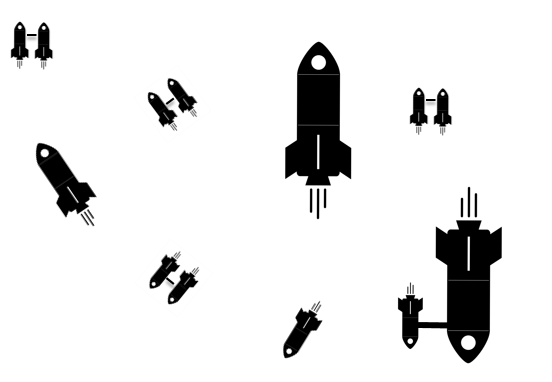 To start with a simple analogy as a discussion point, since I am a nerd, I will talk spaceships. Each ship in space is an independent entity, completely self-contained and self-sustaining. However if one ship has something that the other ship wants, and they want to make a trade, they need a way to transport between ships. Ideally each ship doesn’t have to know everything about how the other was constructed to do this, they simply want to be able to extend a bridge between the door on the first ship to the door on the second. That is the essence of API, without knowing or caring about every detail of the system with the data you want to access, you simply want to know where it is, and what you need to do to access it. So what’s the big deal there? Well, beyond just a single ship-ship transfer, the idea is to scale this up to create a web of ships all able to trade with one another, creating an “API Ecosystem”. The API ecosystem is an open system of API-enabled trades between ships big and small. This is why SAP has been talking so much about the API Business Hub; even Bill McDermott talked about the API Business Hub as a driver of the SAP Cloud Platform generating fast-innovation applications. 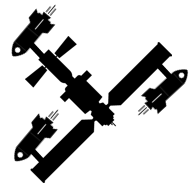 To extend the metaphor one last step, you can think of the API Business Hub as a space-station, where many different goods and services are stored, providing a central location for trade, still via API. This is the model SAP has chosen, to provide a single central repository for APIs across its technology landscape, from SaaS solutions like SuccessFactors, Concur, Fieldglass, etc. to core technology like HANA and S4HANA. Even specific single service offerings called “Microservices” running on SAP Cloud Platform, or YaaS are available via API. This makes the SAP API Business Hub integral to fast application development, on SAP Cloud Platform. To bring this back to a software context, let’s return to our original discussion point, and talk now about why APIs truly accelerate digital transformation, through rapid application development, and how SAP Cloud Platform enables this. As discussed earlier, APIs allow for reusable interaction with only the necessary data, without needing to know the underlying infrastructure. This allows new application development without having to build all the pieces of the application. By interacting with APIs from services that already exist, either on SAP Cloud Platform, or discovered through the API Business Hub, an app can be built with much less work. Take a simple example, with the newly launched SAP iOS SDK; a Swift developer generates a simple Out of office notification native app for iPhone, on the SAP Cloud Platform which auto-updates a users out of office status via simple API call when their phone location travels out of a designated “Home Zone”. Relieves the headache of traveling employees and can be built without much hassle. Or using multiple APIs, an app which auto-approves travel requests in Concur for employees marked for travel in SuccessFactors, using a simple API call to check whether an employee has that status, and then another API call to Concur to approve could be built and deployed to Fiori Launchpad for use on Desktop, tablet, or mobile. This same app could be extended using 3rd party APIs can also be used, such as pulling weather conditions for actual travel planning. You will even see APIs popping up in IoT, Integration, SaaS extensions, Machine Learning, Blockchain, and much more. APIs are powering the Digital Transformation for niche startups, as well as for traditional Enterprise players. I invite you to Read More about how to build a Digital Business with APIs on how SAP CP helps turn APIs into business advantage. Please explore the SAP API Business Hub to discover the APIs SAP is exposing. Discover how SAP manages APIs via its API Management offering. Continue to check in to the community to watch for more news about APIs and SAPs Journey with them. A neat explanation of importance of APIs in the web and thereby that of API Business hub! Thanks. Thank you for the kind words Sunita.